 What is Quest Experience Week? You will be emailed calendar invites after you register for each session. Simply click the links in the invites or use the live links on our site to join. All tools used as part of Quest Experience Week are designed to work with both PC and Macintosh computers with an Internet connection. Sessions will take place on the GoToWebinar platform. Need to join webinars while on the go? Use the GoToWebinar mobile apps to join webinars from anywhere using your iOS, Android and Windows devices. Headphones or speakers are recommended to hear the live session audio.